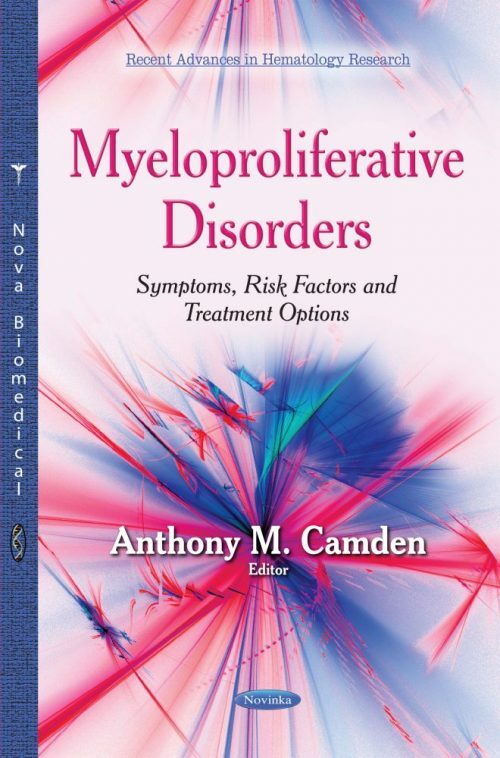 Myeloproliferative disorders are a group of clonal haematological neoplasms characterised by proliferation of one or more cells of myeloid lineage. They are the result of acquired mutations in the progenitor cell leading to hyper proliferation or neoplastic expansion of more mature forms of myeloid cells. Cells retain their functional ability with some degree of defects and also lead to suppression of normal stem cells. The most common type of Myeloproliferative Neoplasms (MPN) can broadly be classified into BCR ABL positive (Chronic Myelogenous Leukemia) and BCR ABL negative Disorders (Polycythemia Vera PV, Essential Thrombocytosis ET and Primary Myelofibrosis PMF). There are other rare types which have relatively low incidence like chronic neutrophilic leukemia, chronic eosinophilic leukemia, systemic mastocytosis and myeloproliferative neoplasms unclassifiable.